We are a family run business who have been designing and making high quality external and internal caravan, motorhome, campervan, pop up caravans/tent graphics for many years. We specialise in creating replacement graphics for manufacturers hard to get designs and redraw all our graphics ourselves to give clear and crisp graphics. This combined with only using high-quality premium grade vinyl allows for the best graphics possible to enhance your vehicle. There are lots of graphics available on our website and if you require a graphic that you do not see on our site, then please contact us as I'm sure we will be able to create it for you. 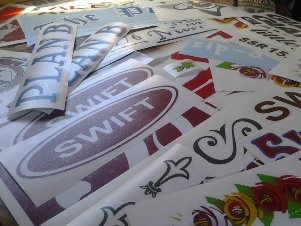 We also sell customised graphics to give a unique style to your caravan or motorhome. Just send us your design as high quality as possible and we can turn it into vinyl graphics for you. 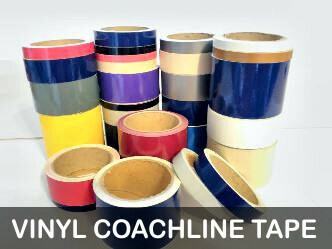 Our decals are easy to fit and all come with detailed step by step instructions. So why are you waiting, transform you vehicle with one of our graphics now!.